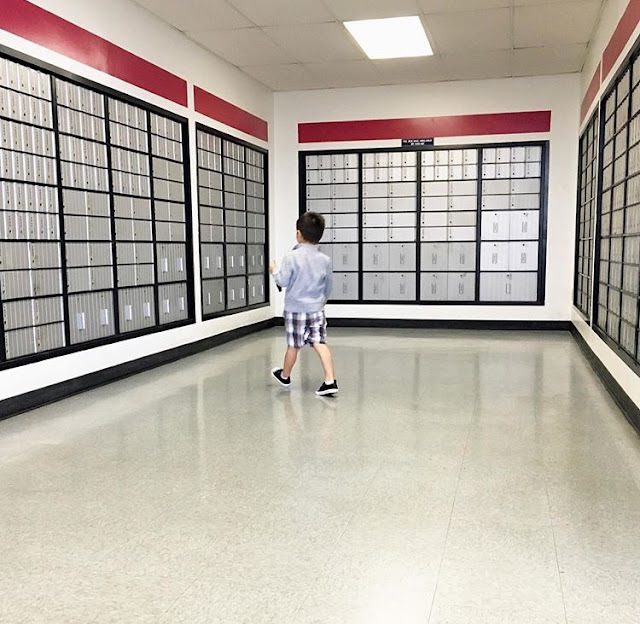 I skipped doing a recap in May of Mason's post office adventures since we didn't have an event in May and I didn't really start going to the post office again to mail things until after our link up. BUT I'm back this month sharing the rest of the pictures from April, May, and the first part of June. As I've admitted in the past... I've been kind of failing on my "one picture a day" goal. I mean well and then I get so busy, or literally nothing exciting happens between work, eating dinner, bath time, and bed time, that I completely forget to take any pictures. It's quite possibly the longest hashtag ever, but I feel like it describes the situation perfectly. Taking Mason to the post office in the morning is always an adventure! It literally happened by chance but now it is one of my favorite things to do with him. It might seem like a hassle to some, to have to go to the post office to mail something, but for me, it's fun. I get so much joy out of seeing him so, so happy to do something so simple. Here are the pictures that I've shared on Instagram as well as the captions (minus the emojis) that I've shared from April 14th until now. 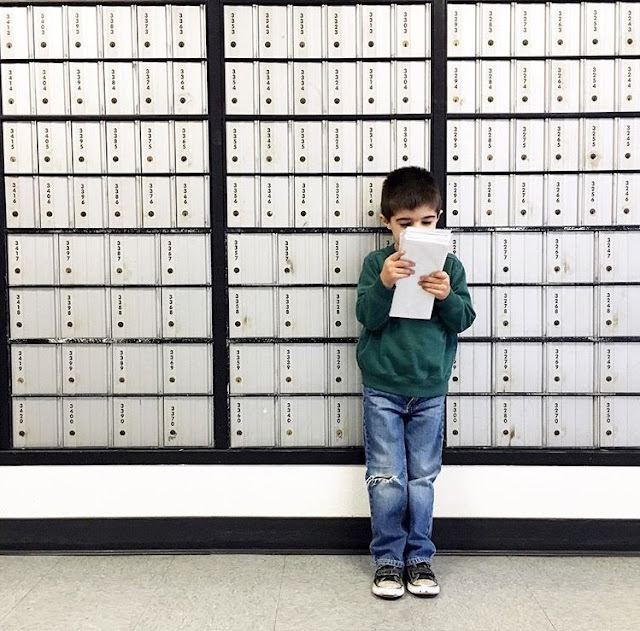 04.14.16 // Since our event is this weekend, there were no letters to mail this morning. But there were letters to pick up, so this little mail man was plenty happy! 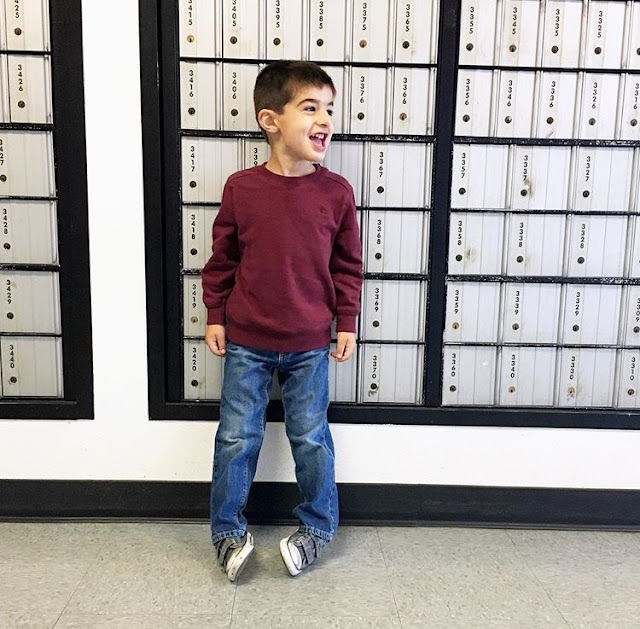 04.15.16 // It's really too bad that he hates going to the post office in the mornings so much! 04.15.16 // Our box didn't have any mail in it this morning and Mason was super disappointed. 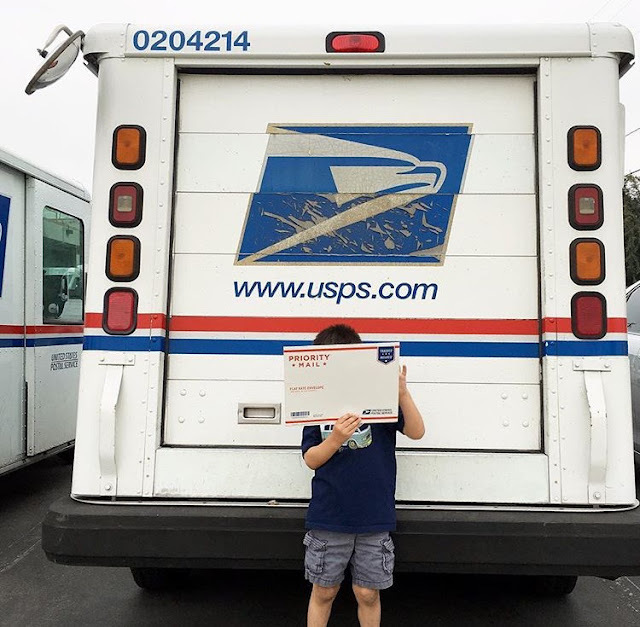 So he was off to try to open one that did have mail! I tried to explain that they key only opened our box, but he didn't care. 04.20.16 // Just barely out of reach! 04.25.16 // He looks like he's yelling "Hey Monday! We're ready for ya!" 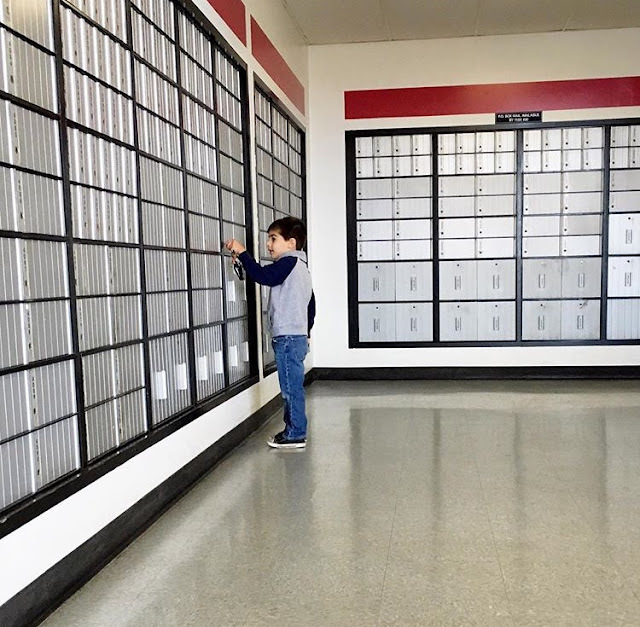 My co-worker who normally gets the mail is out of town today so we made an unexpected stop to the post office this morning to pick up the mail. Mason wasn't too unhappy about it! 05.09.16 // "Any of these have my name on them? Nope? MOM! You have a lot of work to do today!" 05.10.16 // Today was the day that Mason has been waiting for for WEEKS. He's been wanting to use this machine for forever but I haven't needed stamps. Today, I did. 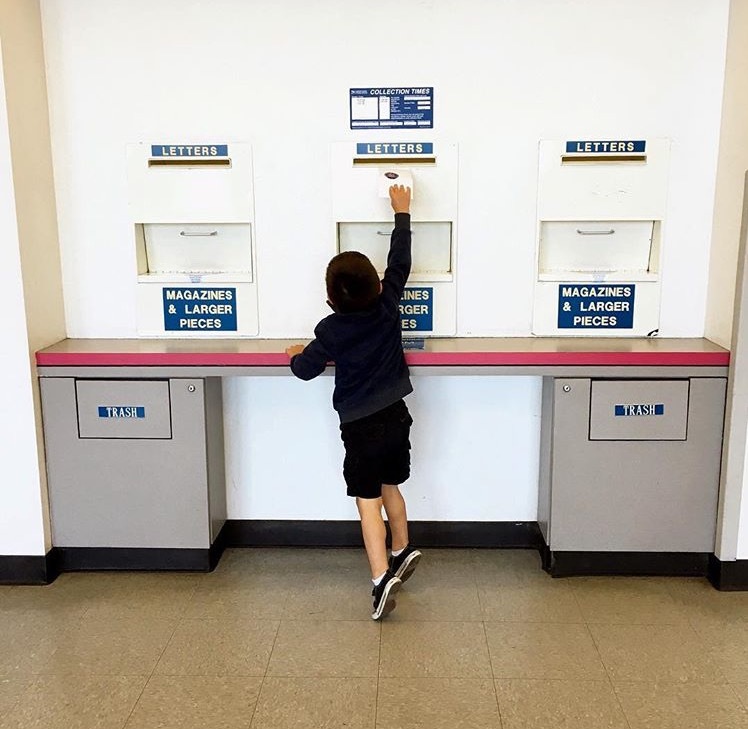 I let him push the buttons and take the receipt and the stamps out of the dispenser. 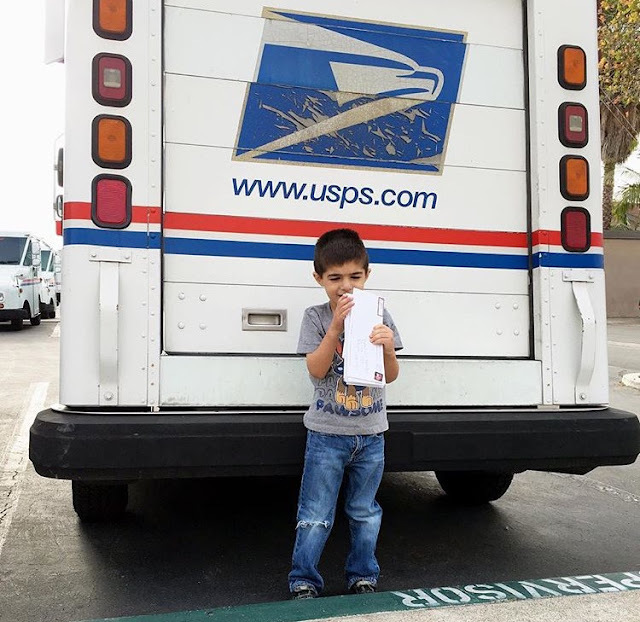 I even let him help me stick the stamp on the envelope. His little mind was blown. 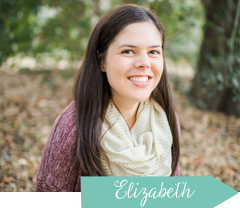 05.16.16 // Sixteen, seventeen, eighteen, nineteen, twentyteen! I've corrected him a few times but really, it's just too cute to be corrected! 05.20.16 // He takes his job very seriously. 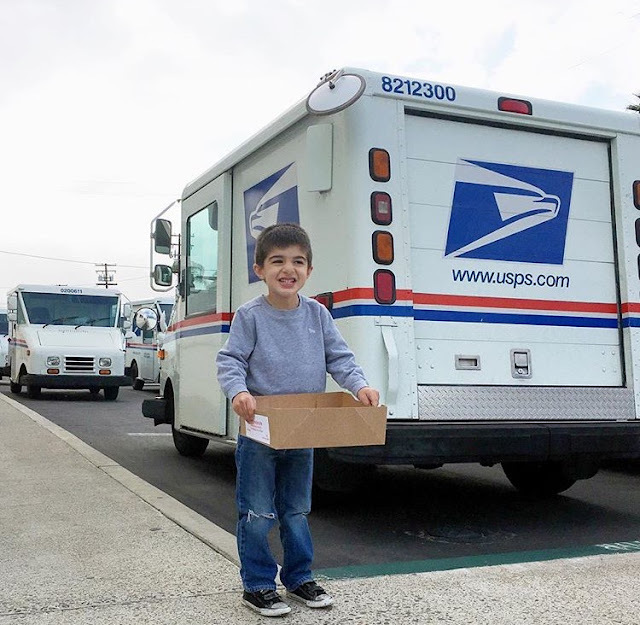 Off to mail our first letters of this event cycle! 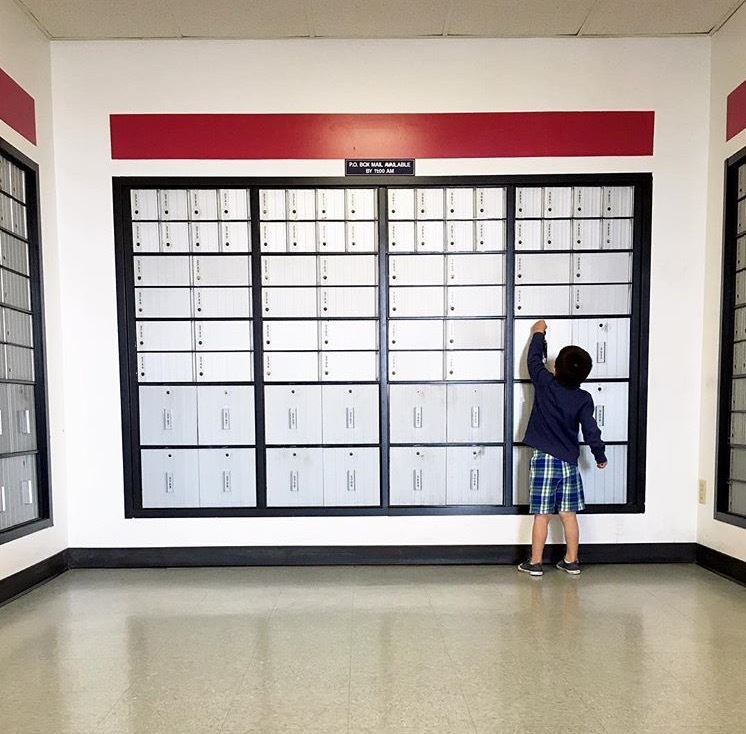 05.20.16 // We had to make an unplanned stop at the post office on the way home this afternoon to mail more letters. 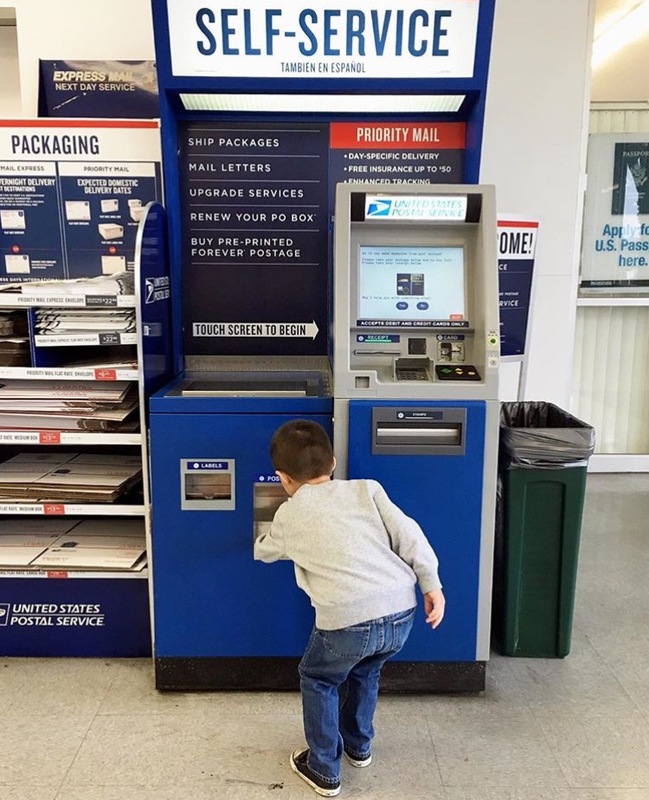 Post office two times in one day? Mason wasn't mad about it! 05.23.16 // He was so excited about carrying the keys and opening the PO Box this morning that I... almost didn't have the heart to tell him that's not ours and he was trying to break into someone else's box! 05.25.16 // When you have 75 letters to mail, sitting on the job is acceptable. 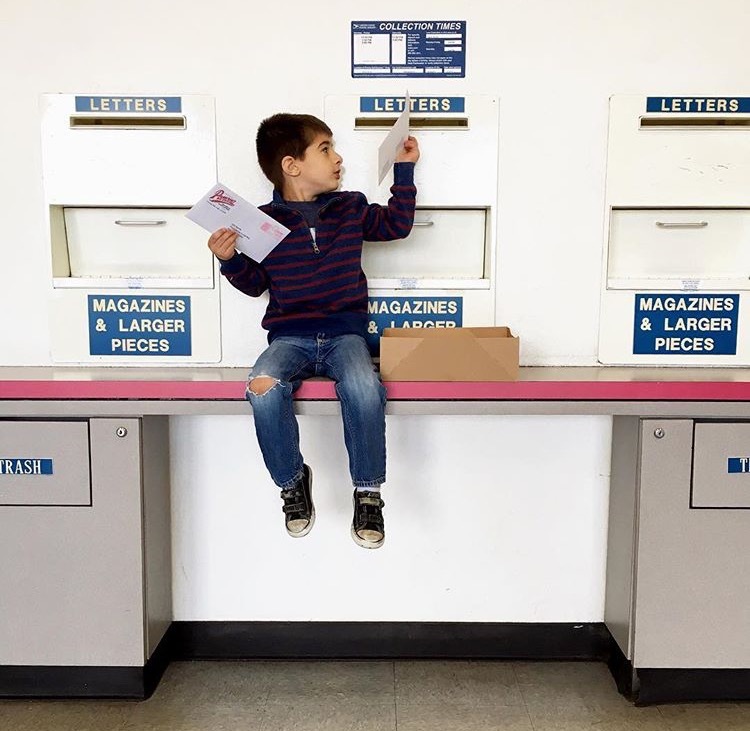 05.30.16 // Post Office Adventures without Mason B. It's a holiday for most so Mason is at home with Seth but I still had to go to work today since I was off Thursday and Friday last week. The post office was a very lonely place this morning. 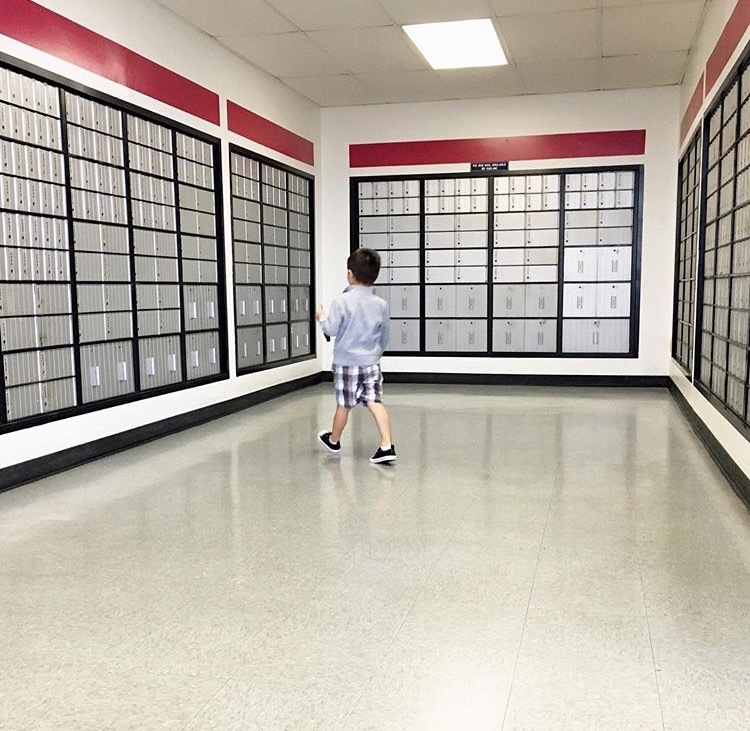 05.30.16 // No post office trip is really complete without Mason, so after I was done at work, I said I'd take the mail to the distribution center to speed it along since today is a holiday. I swung by the house, picked up the boys, and blew Mason's mind with how big and awesome the distribution center was! 05.31.16 // "Mom! 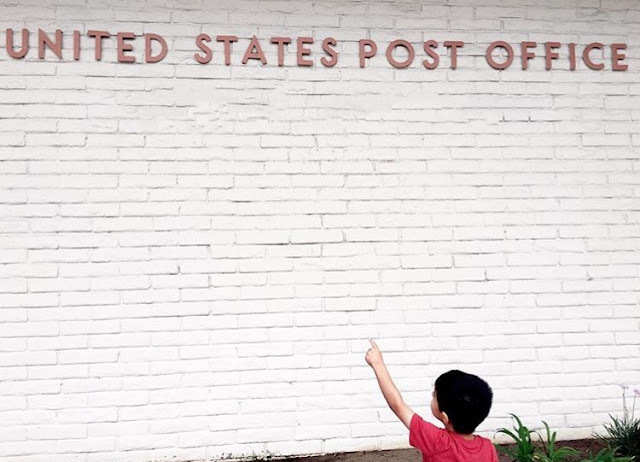 Post Office!" 06.01.16 // He's a man on a mission! 06.02.16 // I had to sign for one of the letters that came in our PO Box today. Since we go early - before they open - I had to ring the bell and someone came to the window. I was holding Mason when she opened the window and I heard him let out an audible "WOW!". He got to see into the back of the post office today. I think it blew his mind. 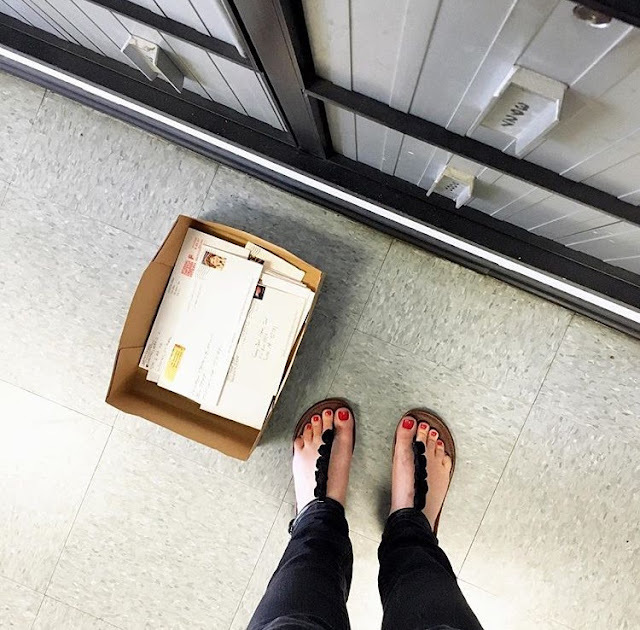 06.06.16 // There won't be mail for a while since our next event is not for 10 weeks, but I was expecting something so we made a quick pit stop to the post office this morning! Don't forget, our next link up is Thursday, July 14th. So gather some photos between now and then and then link up with us on the 14th and show us what you've been up to! I absolutely adore these photos. The excitement and happiness on Mason's face is just contagious. Such a fun theme. I hope you continue to take these photos for years to come. 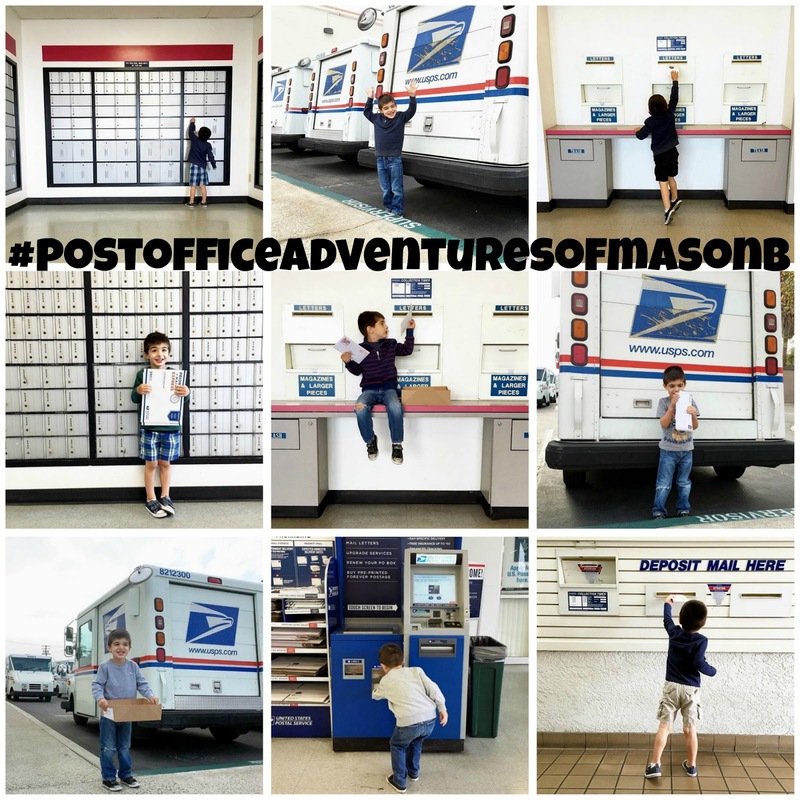 I love his post office adventures and the hashtag is perfect! It's so clear that it brings him so much joy! These are SO cute! 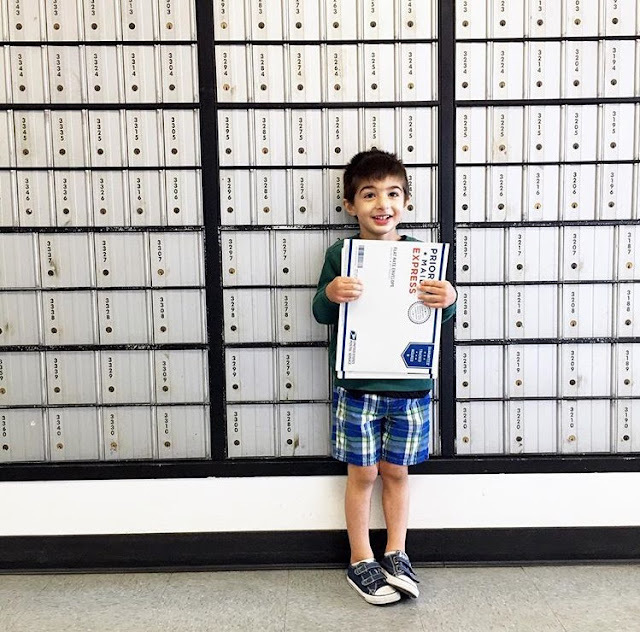 He needs an advertising deal with the USPS! I always love seeing these! Seriously my most favorite hashtag & photos ever. I definitely look foward to Mason B's P.O. Adventures!!! So glad you share them! And I thought I loved the post office but Mason has me bet for sure. 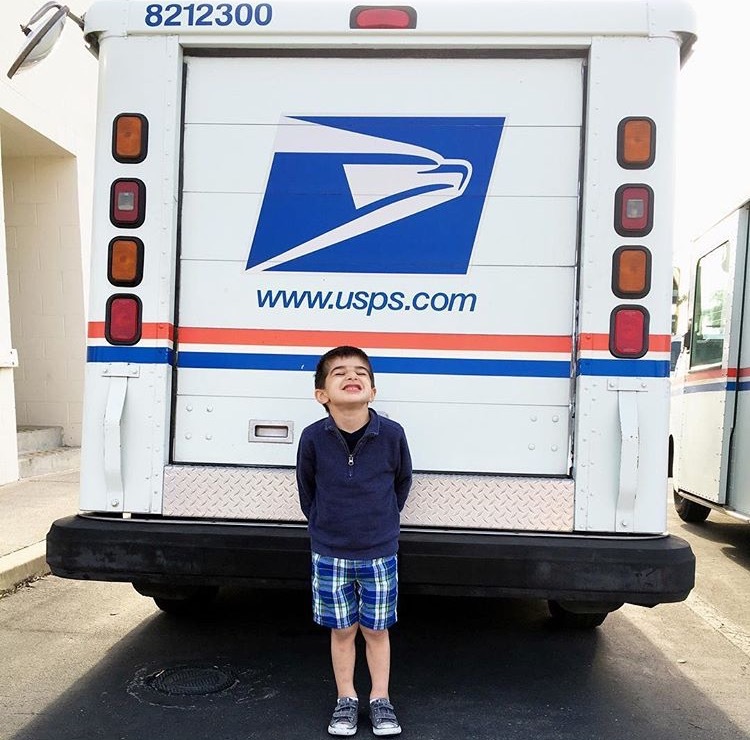 I would love to see him as a mailman for Halloween. I just love your post office adventures, so stinkin cute! 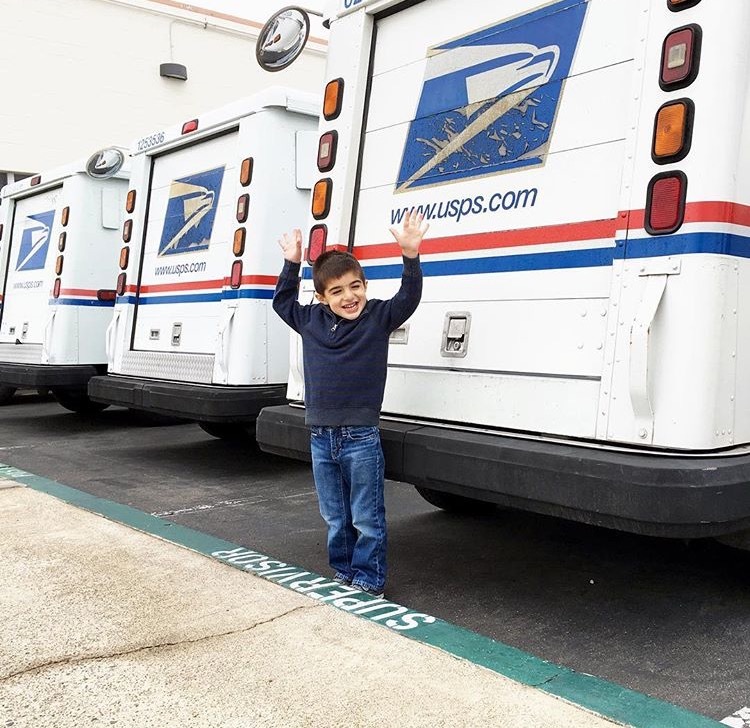 I love all these pictures of him going to the post office! So cute! 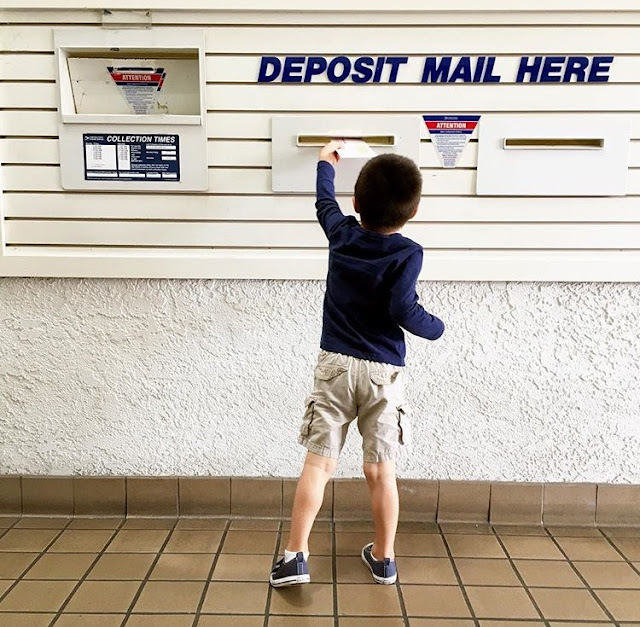 I think this batch of post office pictures are my favorite! Even though its the same location, EVERY picture tells a new story, I adore them!!! 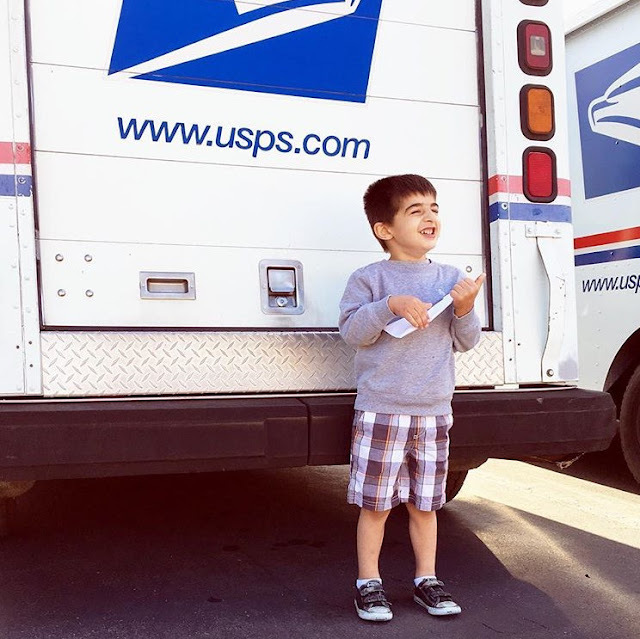 Cutest mail carrier ever. 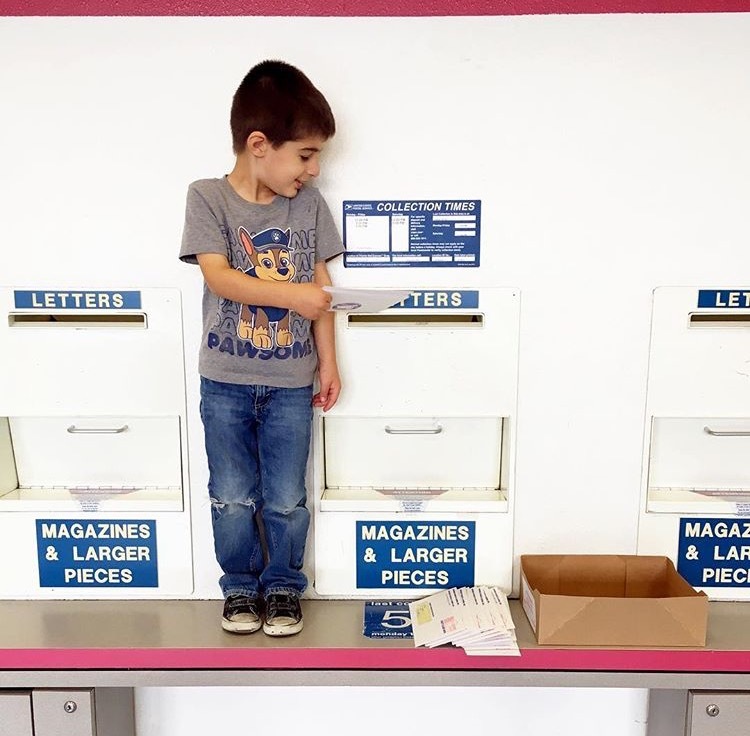 I am obsessed with these post office photos! I especially love the one of him hiding behind the letters and where he's on his tippy toes! He is too cute! I love that you being him to do this! One of my favorite series of pics!! :) I just love how happy he always looks, especially. You've done an awesome job with getting creative with them and different poses, perspectives, etc.!! I look forward to these pictures so much! Every time I pass the post office I think about you guys! 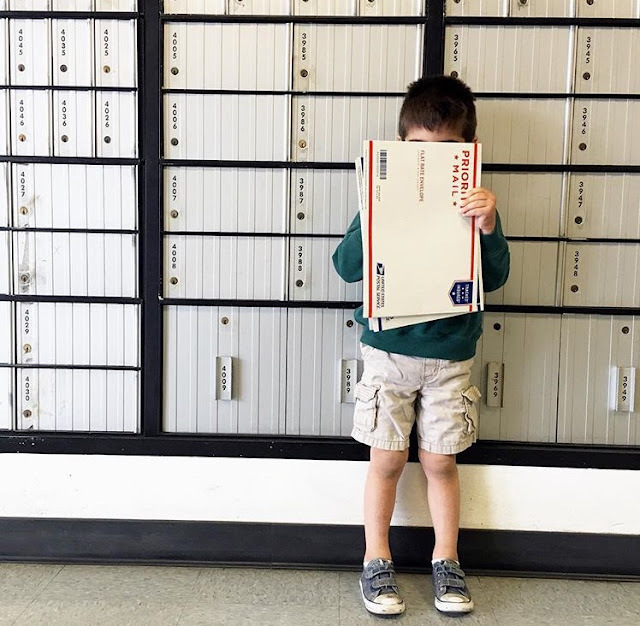 You have the greatest post office adventures!! Love all of the photos of your sweet guy! These are my favorites on IG! I love when I see one pop up on my feed. You can just tell Mason loves his big boy job. And serious kudos for you for braving the PO with a little. I literally cringe when I know I have to do that job with kids. Love the hashtag and especially love the photos! You are getting better & better my friend! And how fun to watch him grow in the same setting!!! 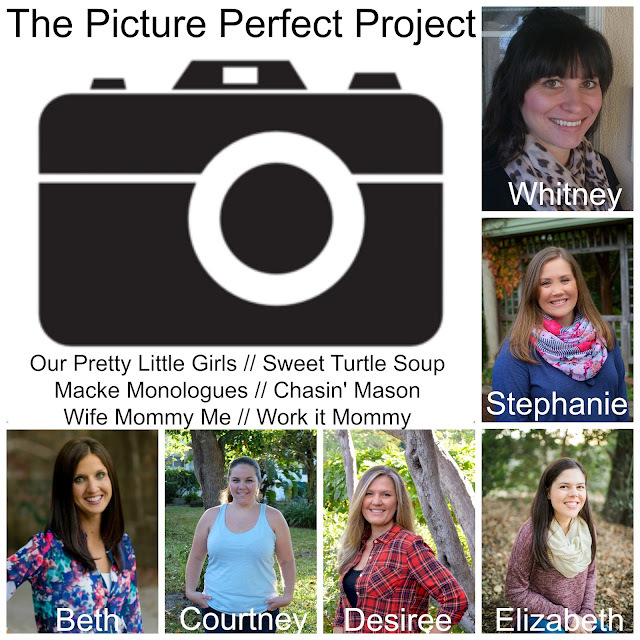 You should make a collage print with these photos.... but really! I just LOVE them so much.